"The Son of Man is Lord (ruler) over the Sabbath day." There was no more important symbol or source of identity for the Jewish people than the Sabbath. Rules, laws, traditions, and respect grew up around the original Law and encrusted it with layers of a combination of inconsequential, restrictive, and harmful traditions. So when Jesus takes on his opponents over the issue of the Sabbath, we shouldn't be surprised by their bitter opposition and hostile criticism. As Jewish self-identity became fused to the Sabbath, the traditions and attachments to it became more important for the religious aristocracy than the people who celebrated Sabbath or even than the reasons God provided a rest for his people and demanded that the Sabbath be honored. 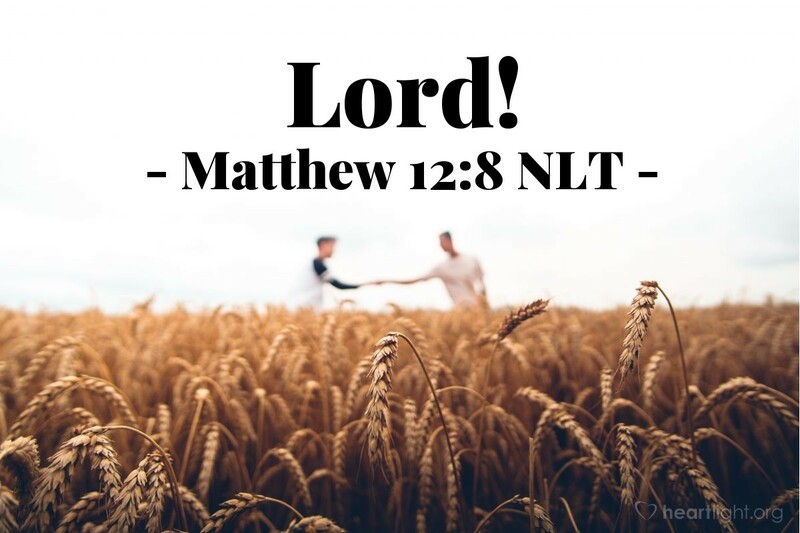 Like a bolt of thunder, Jesus' simple words, "The Son of Man is Lord of the Sabbath," would have raised their confrontation and hatred of him to a fevered pitch. He drove them to the point of decision. He left them no option but to believe or scheme to get rid of him. They chose the latter. What do we choose? Are we ready to let him redefine the heart and hope of our worship? Holy God, I thank you so much for sending Jesus. I want him to be Lord of every area of my life, especially my understanding of your desire for worship and community. As I continue to read and learn from him, inform my heart through your Spirit to better know him and be conformed into his likeness. You sacrificed so much; help me to hold back nothing as I seek to live for him. In Jesus' precious name I pray. Amen.